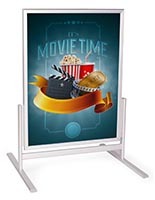 Display your signs brightly and classily with this LED advertisement light box. 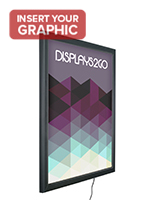 Using innovative technology, this backlit snap frame illuminates your graphics without burning a hole in your posters or your wallet. 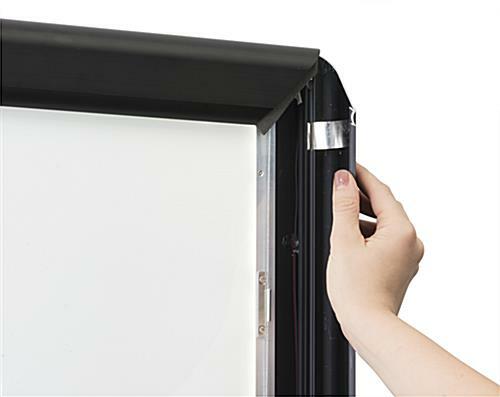 This energy efficient indoor light box boasts a 50,000-hour bulb life, keeping maintenance and bulb changes to a minimum. 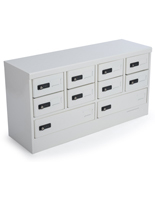 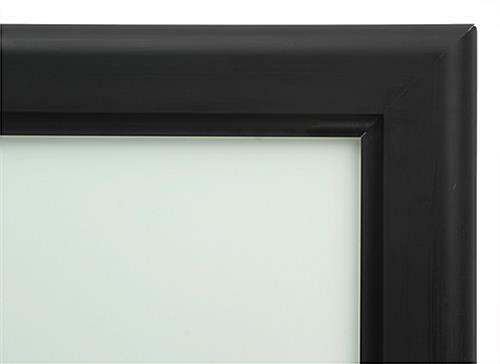 All four sides of this snap frame open, allowing you to quickly and easily switch out your signs. 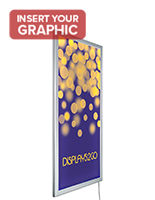 Its versatility makes it perfect for most high traffic, indoor areas including movie theater lobbies, malls, photography studios, and more. 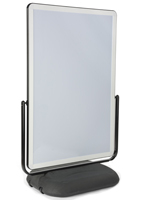 Mount your light box as a portrait or landscape display. 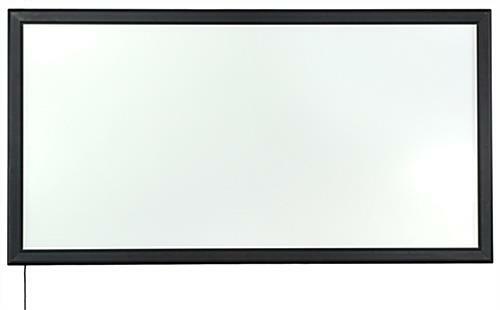 40.3" x 76.3" x 1.8"